Pixar movies have long been as popular with adults as they are with the children they’re created for. Who didn’t bawl their eyes out during Inside Out or Up, regardless of how old you are? 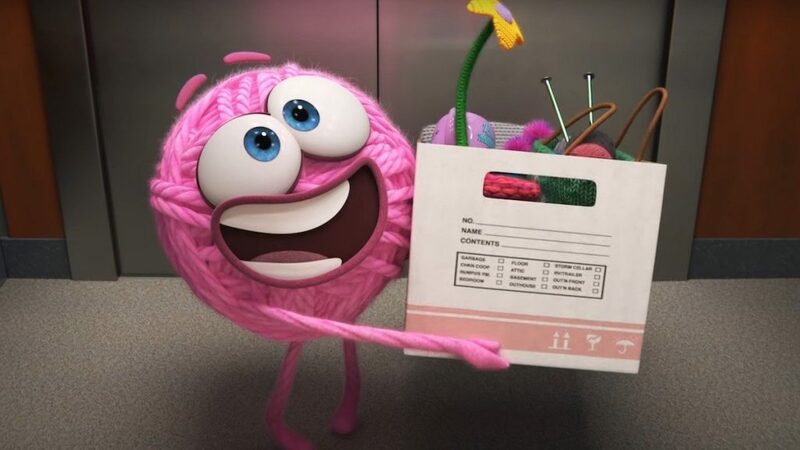 But the first offering from Pixar‘s new SparkShorts program, Purl, was made specifically with us adults in mind. The animated short is a searing takedown of toxic bro culture in the workplace. The film centers on Purl, a talking ball of pink yarn, who is the newest hire at the aptly-named B.R.O Capital. We follow Purl through her first day at work, and watch as she navigates a sea of white men clad in suits. These dudes make dirty jokes, love happy hour, and act more like they’re pledging a frat than conducting a business meeting. After she’s consistently ignored at the water cooler, talked over, and shut out of drinks with her coworkers, Purl decides to conform to her office’s culture to fit in. She changes her appearance, parties with the boys, and tells borderline misogynistic jokes. While Purl’s wise-cracking, one-of-the-boys persona makes her a hit at the office, it doesn’t take long until she’s confronted by the fact that she’s only further perpetuating their harmful behavior. When a new hire—another ball of yarn—shows up on the floor, Purl’s first instinct is to ignore her and stick with the boys. But she soon realizes that she must stand in solidarity with the new yarn ball, in order to make her transition to B.R.O Capital easier than Purl’s. In a flash forward, we see the office has become a much more inclusive place thanks to Purl. There are now just as many yarn balls as men in suits, and they work in perfect harmony. The ending can feel like an oversimplification of how to combat men behaving badly in the workplace—if the 2017 criticism of Pixar’s own “boys-club” work culture is any indication, this is extremely difficult terrain to overcome—but the film is still a powerful example of what it feels like to be an outlier at work. Whether you’re a woman, trans, a person of color, or a ball of yarn, Purl is an extremely relatable symbol for the need for diversity in the workplace. You can watch the film in its entirety, here. Samantha Leach is an assistant culture editor at Glamour. Follow her on Twitter @_sleach.